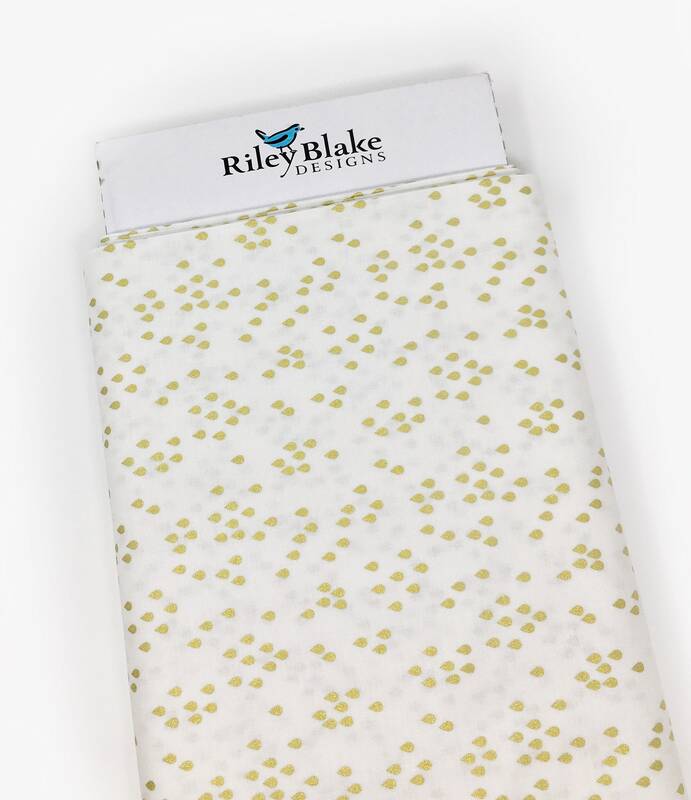 Riley Blake 'You make me happy when skies are grey' white fabric. 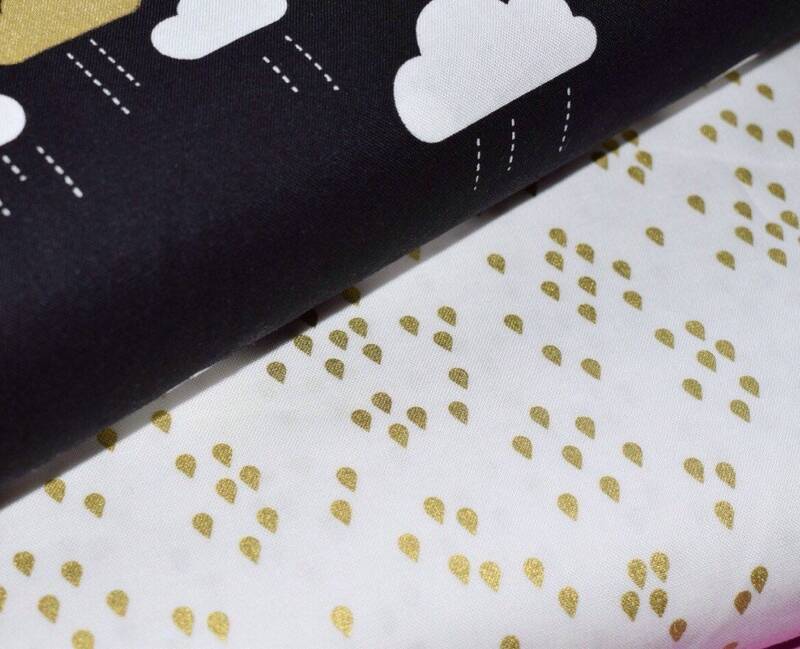 The fabric is printed with metallic gold raindrops. 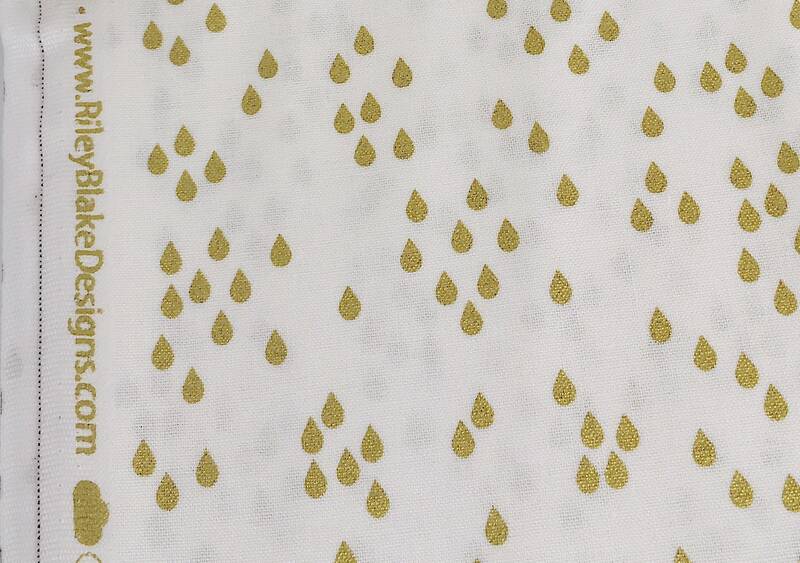 This Riley Blake metallic gold rain premium print cotton is stunning in real life. 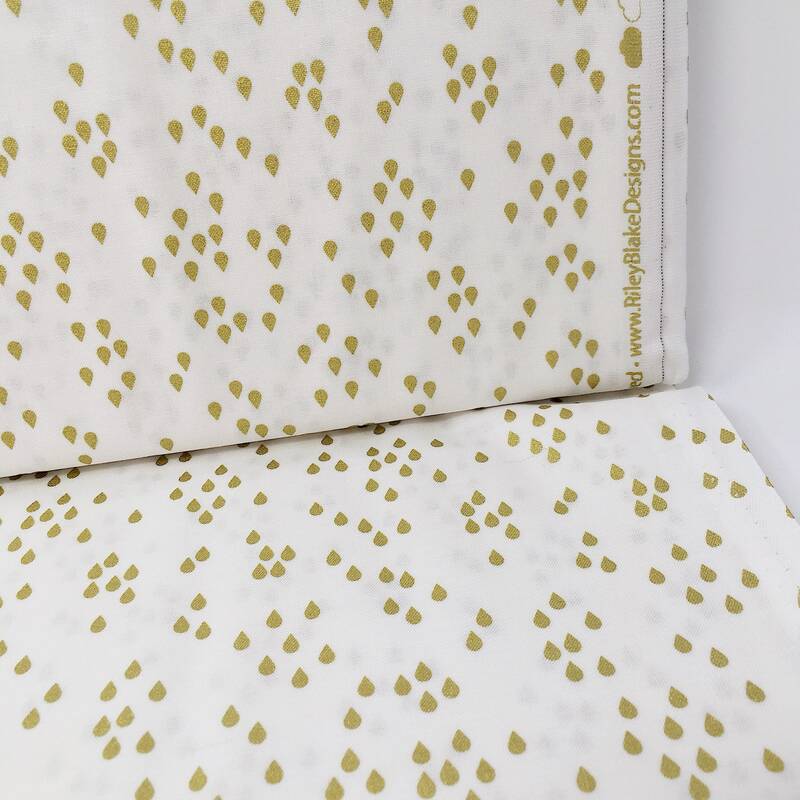 It has a lovely soft handfeel and would look gorgeous as part of a modern nursery decor. 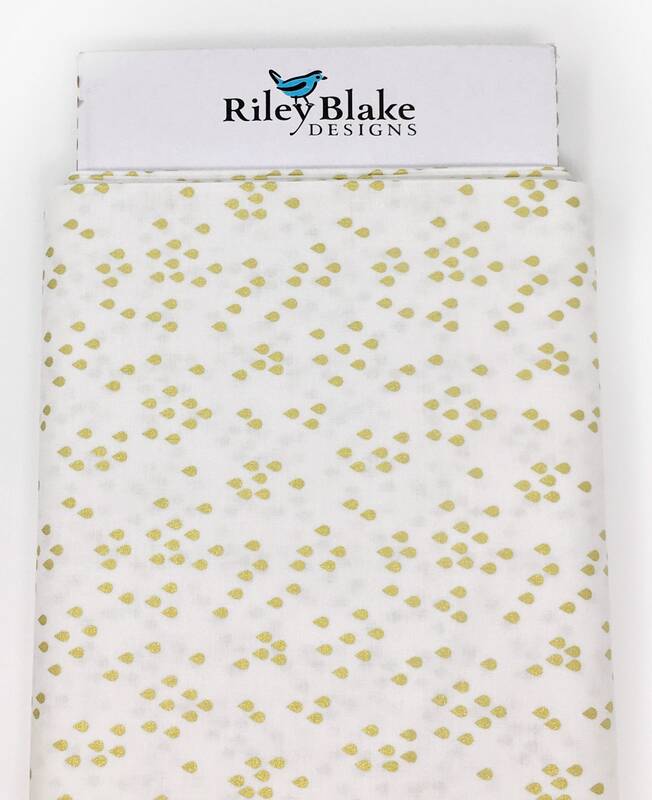 The fabric is a quilters weight, making it perfect for patchwork and craft projects as well as dressmaking and home decor. All my photos are taken in natural light without a flash to ensure a realistic portrayal of colour. However, whilst every effort is made to ensure the photos are correct for colour, colours can appear differently from device to device. If you have any queries about colour please message me, I'm always happy to help! 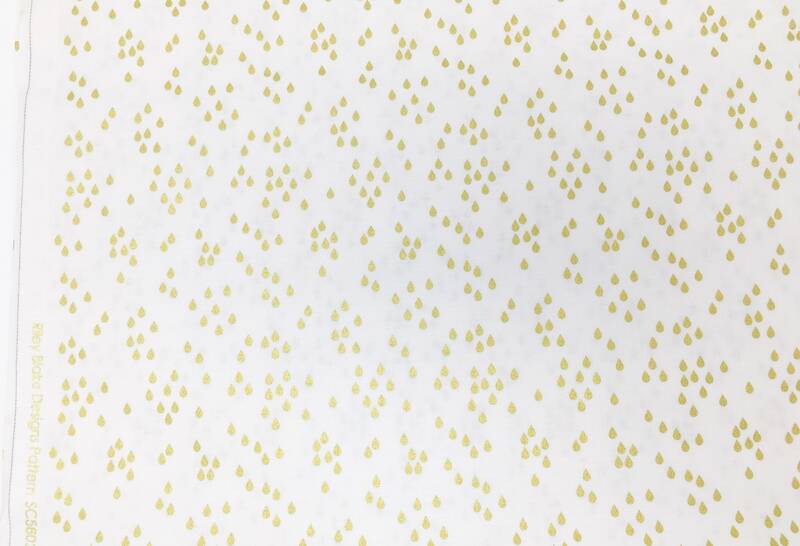 Studio Jepson fabrics stored in a smoke and animal free environment. 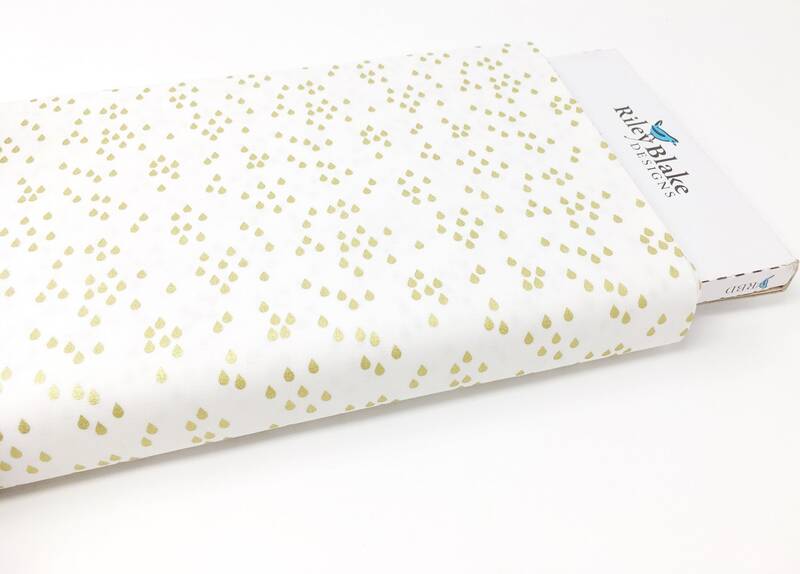 Each order is cut with great care and packaged lovingly with premium tissue paper, a hand written note on fab printed paper and finished with a beautiful sticker. 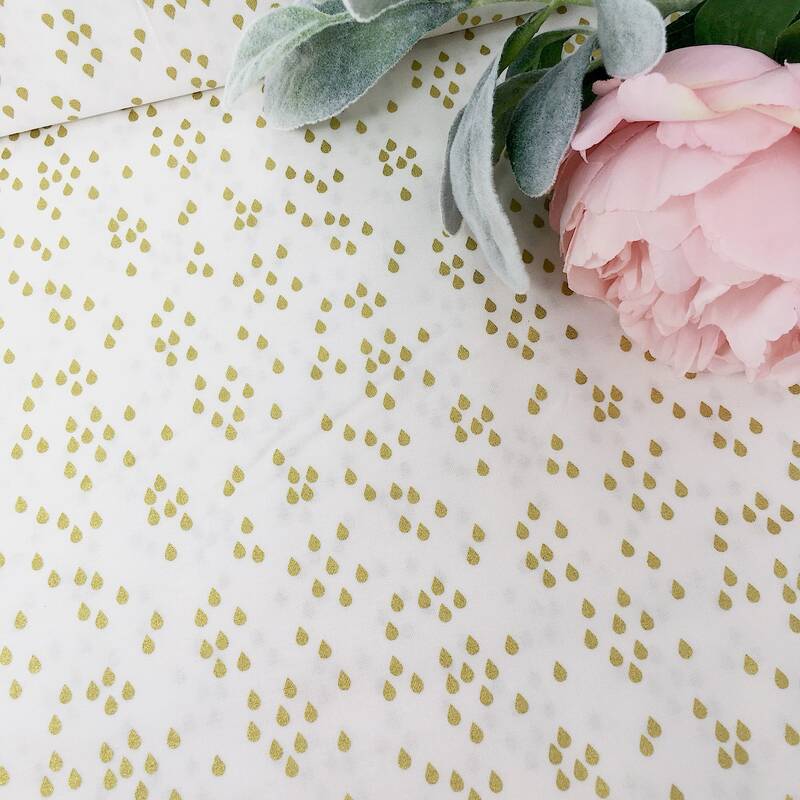 I hand write all addresses using calligraphy. Orders of more than 1 metre will be cut in a continuous length. 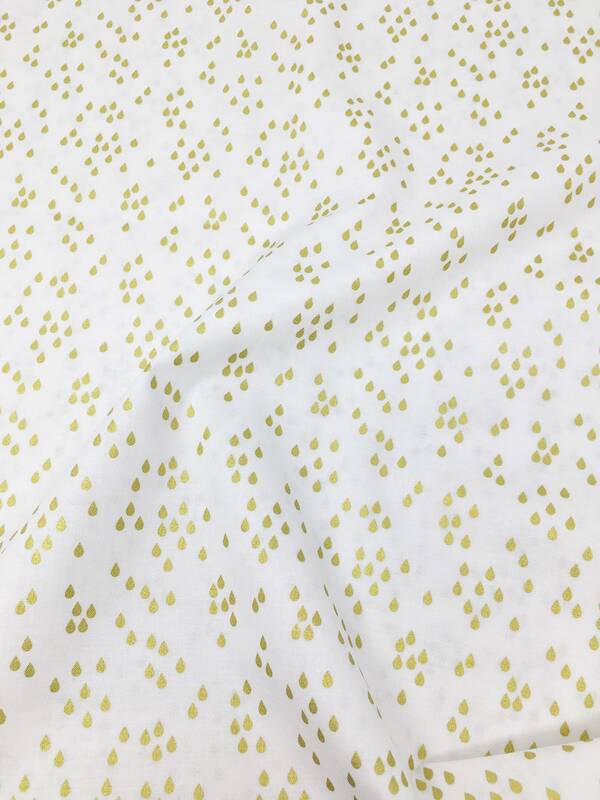 The fabric is approx 44 inches wide. If you would like an alternative length please get in touch. 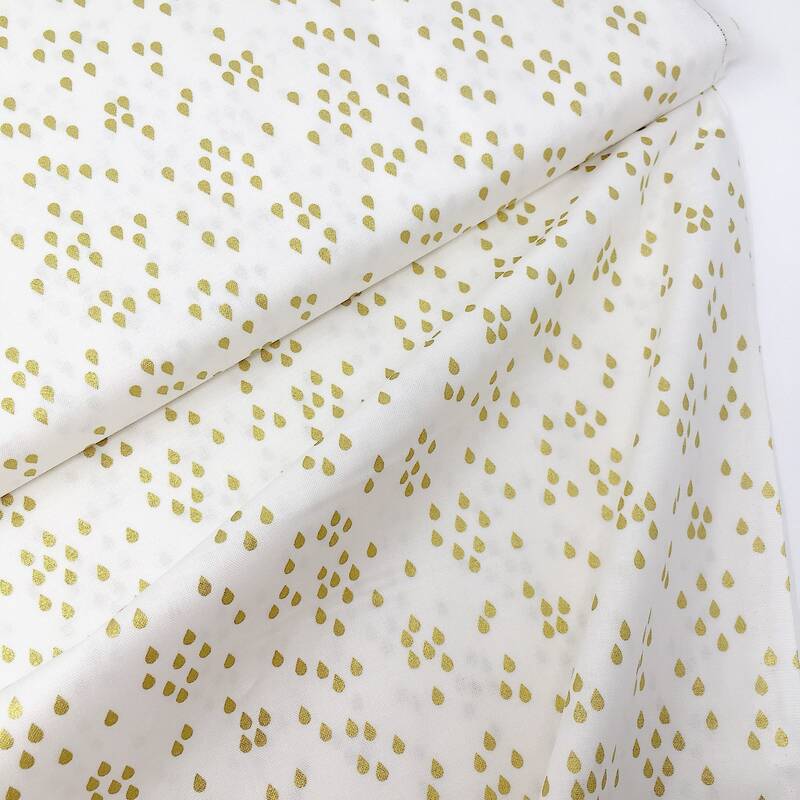 For example it is also possible to order my fabrics by the yard as well as by the metre.